The Essex ‘Sunshine Coast’ is approximately 36 miles long and consists mostly of large sandy beaches, so there are plenty to choose from. 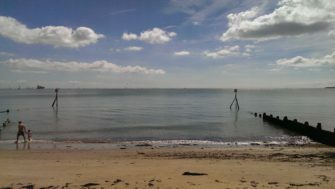 After a short walk round the headland from Harwich, Dovercourt Beach is one of the most northerly spots on the Sunshine Coast, and the sun was certainly shining today. Families were already here making the most of it, playing on the sand and swimming in the North Sea. 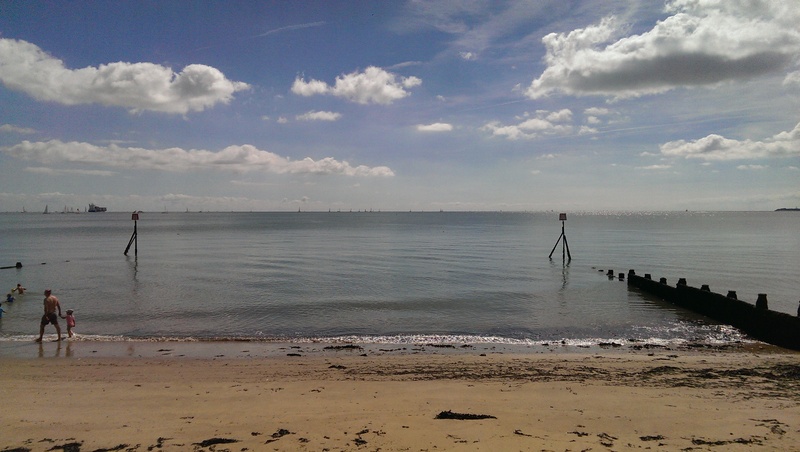 If swimming or sandcastles aren’t your thing, then just take a walk along the beach to see the two iron lighthouses, which were built in 1863 to replace the Harwich lighthouses as the slowly evolving sands out in the estuary meant that their guidance was now misleading and dangerous.